What: Kickoff event for Our Kids: Our Business, a monthlong focus on children’s issues in the Inland Northwest. Sponsored by: Spokane Prevention of Child Abuse and Neglect Council (SPO-CAN). Where: Spokane Community College Lair Building. To register: E-mail dina@vanessabehan.org or call (509) 535-3155. Jonah Edelman is the CEO of Stand for Children, a grass-roots children’s advocacy organization with affiliates in six states. Since its founding more than a decade ago, the organization has leveraged $2.3 billion in funding for various children’s causes. Edelman, son of Children’s Defense Fund founder Marian Wright Edelman, is a Portland resident and father of twin boys. 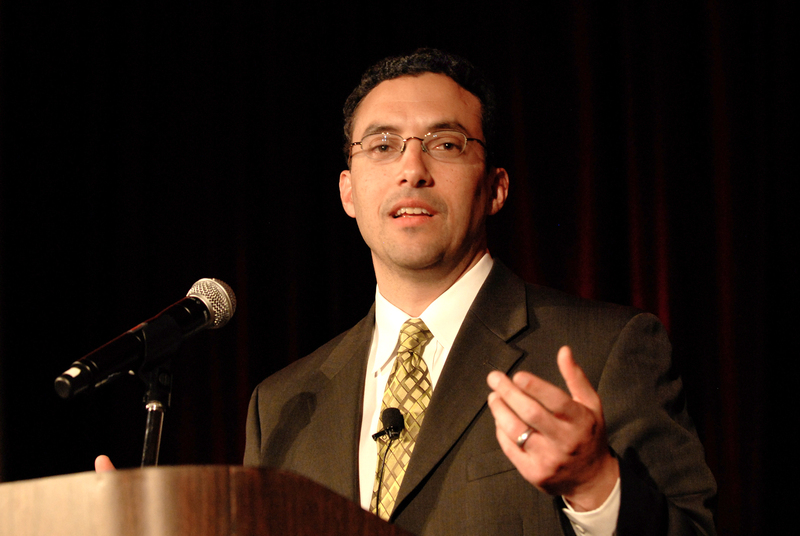 He will be the keynote speaker Friday at the Our Kids: Our Business kickoff breakfast. Q.You trace your activism to when you taught a 6-year-old bilingual child to read. Talk a little about that experience. A.I grew up with these incredible parents who had been public servants all their lives, but I was the last in my high school class to do my service project. So I get to college and my friend at the time was volunteering. I thought I should do that. I went to Dwight Elementary several blocks from the Yale campus. This kid I tutored, Danny, made a lot of progress. I realized I could either spend my time doing God-knows-what, or I could spend a little bit of time changing this kid’s life, this first-grader who doesn’t read. I was 18, and I was hooked. Later, I was an administrator with a youth development program, and I ran into Danny. He remembered that I worked with him on reading. Whether you can see it or not in the moment, you are making a difference. Q.Children’s advocates in Spokane are collecting signatures to put a Children’s Investment Fund levy on the ballot. How have these initiatives worked in other communities? A.The one I know best is Portland’s. We helped pass it, and it’s been a tremendous asset. It invests about $12 million a year. It was overwhelmingly renewed in 2008. The levy has funded improvement of early childhood education programs, after-school programs and dropout prevention programs. It’s serving 16,000 kids a year. Q.Is this the best economic time to put a levy on the ballot? A.Folks should understand that kids need great schools, and they need support in preschool years and in the after-school hours. So it’s about a community with a big heart – which I know Spokane has – stepping up in a tough time to do what’s right for kids. Q.What do children need most right now? A.Healthy, engaging, thoughtful interactions. They need unstructured play. They need to be active and creative, and that doesn’t happen when you are just plopped down in front of a screen. The types of programs the initiative in Portland funds – and the initiative in Spokane would fund – creates situations in which kids are interacting and moving forward toward productive adulthood.